Prime Minister, Mia Mottley, in conversation with Chief Economic Counsellor, Dr. Clyde Mascoll following a Social Partnership meeting. Prime Minister Mia Mottley is wasting no time in developing a plan to stabilize the country's economy and an International Monetary Fund (IMF) solution appears to be the tough pill Barbadians will have to swallow. 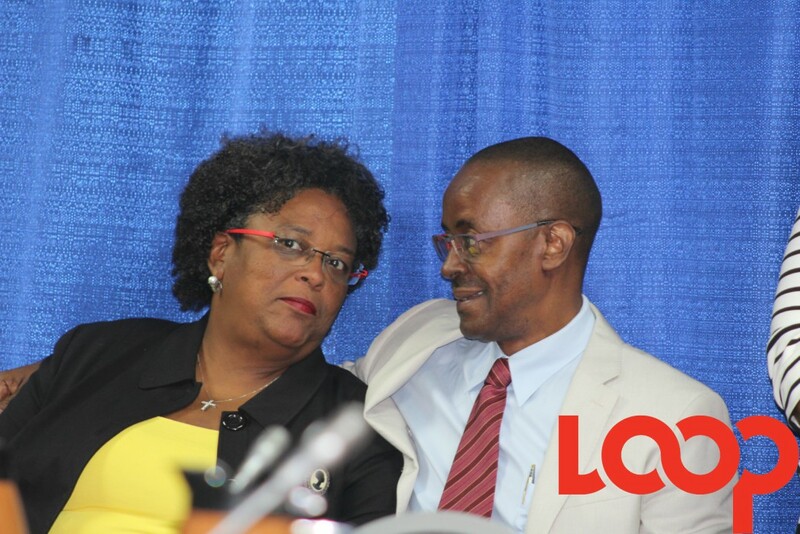 During the Barbados Labour Party (BLP) manifesto launch earlier this month, Mottley hinted that an IMF program maybe needed to wrestle the high levels of debt. 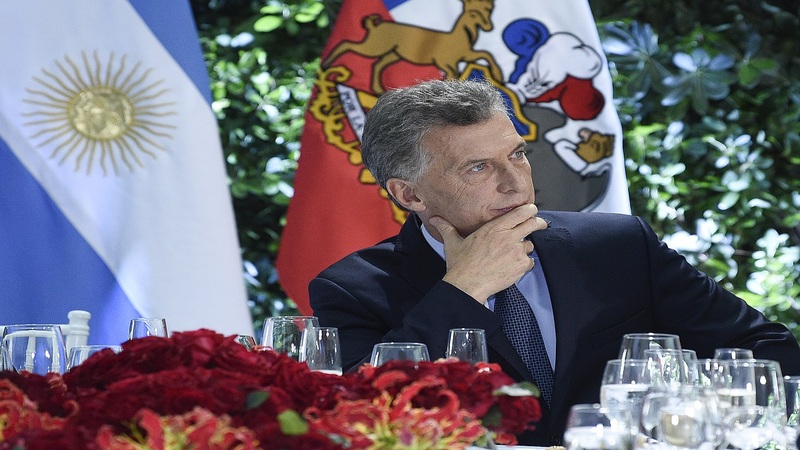 She confirmed, earlier today at a press briefing after a Social Partnership meeting, that the IMF is the way in which the administration will be going. 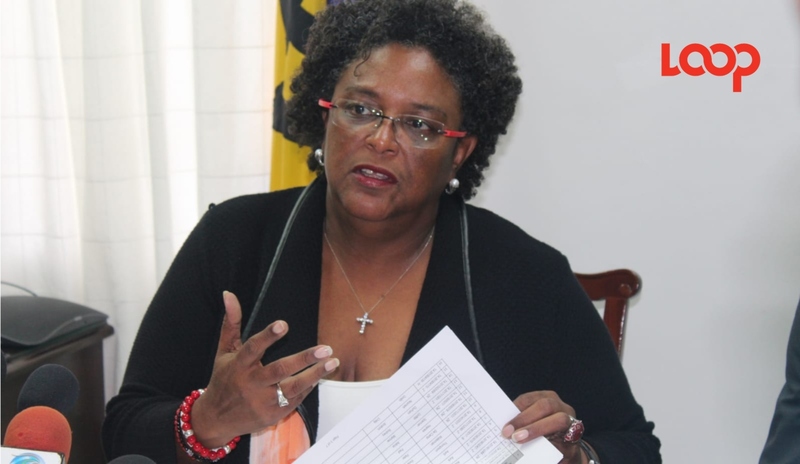 Speaking to reporters from the Lloyd Erskine Sandiford Center (LESC), Mottley said the last government has put the country "in a trap" with wasted spending which has resulted in a unprecedented debt levels. "When the last Administration took over they inherited a debt of about $6 billion. They complained that it was too high. Yet they have left us with a debt level, when arrears are added, of over $15 billion. Public debt as a proportion of our national income is being regarded as high as 171% of GDP – the third highest in the entire world." Mottley said just last night she spoke to the Managing Director of the IMF, Christine Lagarde, briefing her on Barbados' debt situation. 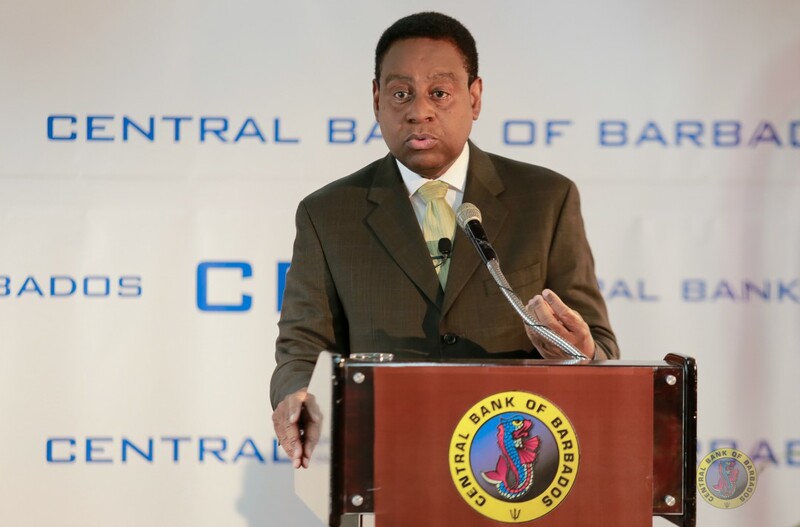 The PM said "the IMF stands ready to lend Barbados the necessary assistance and support". Mottley did not offer any specific details on what the meeting with IMF mission would entail, stating only that they are expected to be on island by next Tuesday. 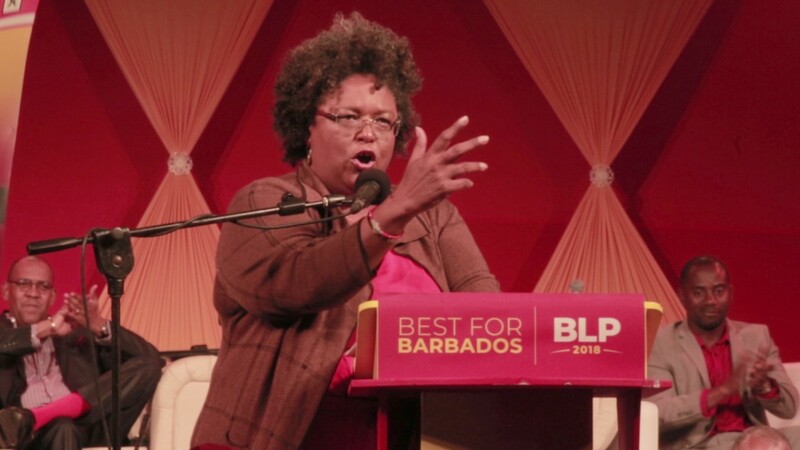 Mottley sought to quieten any concerns of the country having to undergo severe austerity measures under the IMF, by reiterating the promises made in the BLP manifesto. The purchase of more garbage collection trucks, Transport Board buses and the increase in the non-contributory pension were but a few of those mentioned. Mottley added the initial expenditure and revenue adjustments will be prepared and outlined in a Ministerial Statement shortly.